Order your Tama Standard Series Hardware Bag from AMS and enjoy Fast & Free Shipping. Get the Best Deal with our Lowest Price Guarantee & Great Customer Service! The Tama Standard Series hardware bag is very suitable for carrying compact and lightweight hardware such as the flat base type stands. While being lightweight and easy to handle, it also has enough cushioning to protect the equipment from external damage while in transit. It comes equipped with a handle and strap for easy portability. 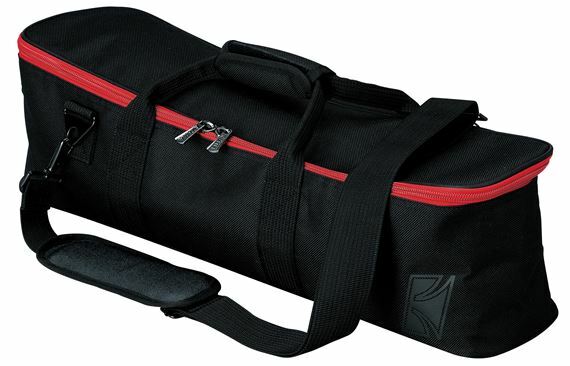 The simple design with the red zipper in standard black color make it an attractive match with any brands hardware. Too small and not worth the money at all.